Kristina returns to teach a Master Class at the Bead&Button Show! During this special class, Kristina will explain and demonstrate her techniques in making big, beautiful shapes containing intricate patterns and detailed surfaces. Kristina has a unique approach to teaching, striving to give you confidence in your skills and a new way of looking at your own work. Students come away from her classes invigorated and with a greater sense of confidence at the torch. Kristina will help you gain more precision in beadmaking by helping you gain better overall control over dot placement, heat control, and intricate decoration. She will demonstrate how to make large disks on large diameter mandrels. In addition, she will explain and demonstrate a wide variety of techniques, including surface decoration, clear casing, raking and feathering, and color choice. Kristina will also demonstrate how she lines the inside of her beads with sterling silver and you should be able to line one of your own beads with silver in the class. Students must be able to work independently at the torch. 2019 Master Classes are three-day intensives taught by expert level faculty. New this year, classes will be open for immediate purchase on Tuesday, July 31 at 12noon (CDT). Questions? Call Bead&Button directly - 800-554-0197. In this unique workshop Kristina teams up with glass artist Márta Edõcs to teach students how to make Make one-of-a-kind jewelry by combining flameworked glass and silver metal clay. 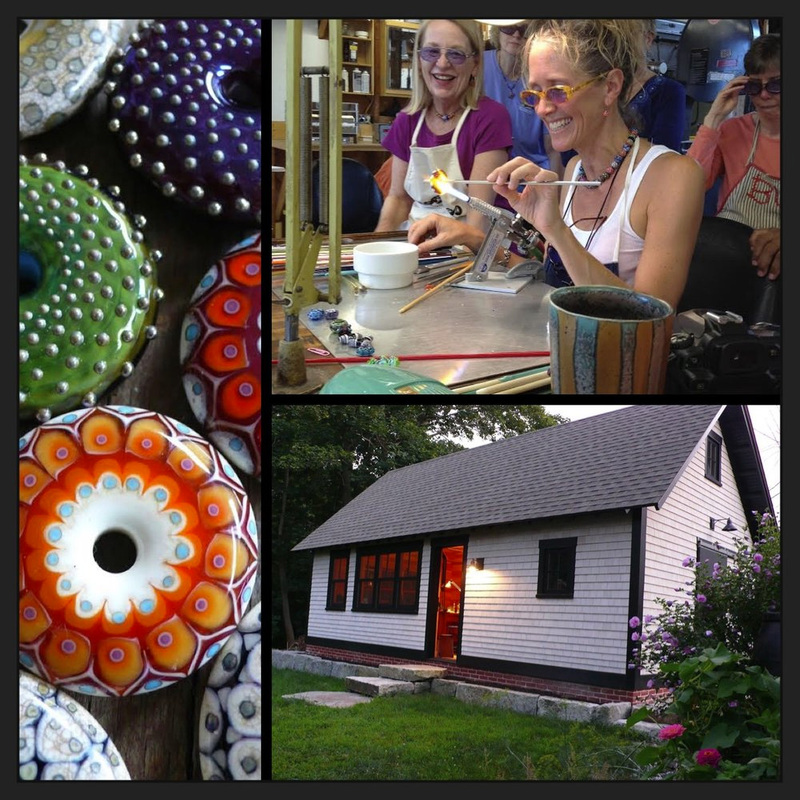 Kristina will teach flameworked beadmaking where she will explain and demonstrate a variety of techniques such as dots, precise patterning, clear casing, raking and feathering, and forming large shapes. In the metal portion of the class, Márta will take students through the steps needed to create unique silver elements, findings, clasps, bails, and bezels. Márta will teach a variety of techniques such as carving, modeling, firing, sanding, and polishing. In addition, both instructors will help students with any needed coldworking and final assembly of finished pieces. This is a great class for students to work on identifying and refining their own individual style of artwork. Experience in small scale detailed work is an advantage but not necessary. This 3 day workshop is carefully designed to help improve your hand skills at the torch. 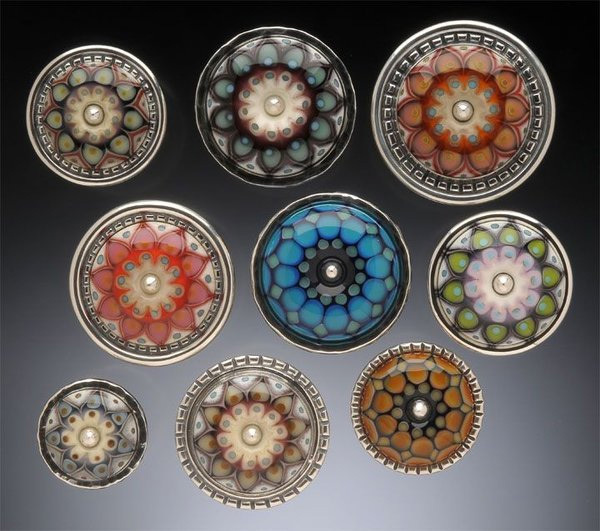 Kristina will demonstrate and explain in detail how she achieves uniform patterns, symmetrical designs, and careful dot placement on her beads. She will help students improve their precision at the torch by giving them specific lessons that will encourage everyone to think carefully about every tiny movement they make and help them make progress towards better beads. Kristina loves to help her students take their work to next level. The overall goal of this class is for each student to improve their own beadmaking skills. Kristina will offer new ways of using tools, heat, and patience! at the torch. I've had many requests for a multi-week class in my studio. I'm happy to announce the first one starting May 22, 2018. This weekly class is perfect for beginner students or beadmakers who want to brush up on their skills. In each session I will do demonstrations and explain beginning to more advanced techniques. Students will learn how to make round beads, shaped beads, decorate with dots and stringers, use color and patterns, apply clear casing, and work with raking and feathering. The majority of the class time will be devoted to students working at the torch making their own glass beads. Class size is small so there will be lots of opportunity for individual attention. All supplies and tools are provided. Tuesday afternoons from 4pm-7pm for 4 weeks. Students will expand their flameworking and beadmaking skills, and have questions answered. 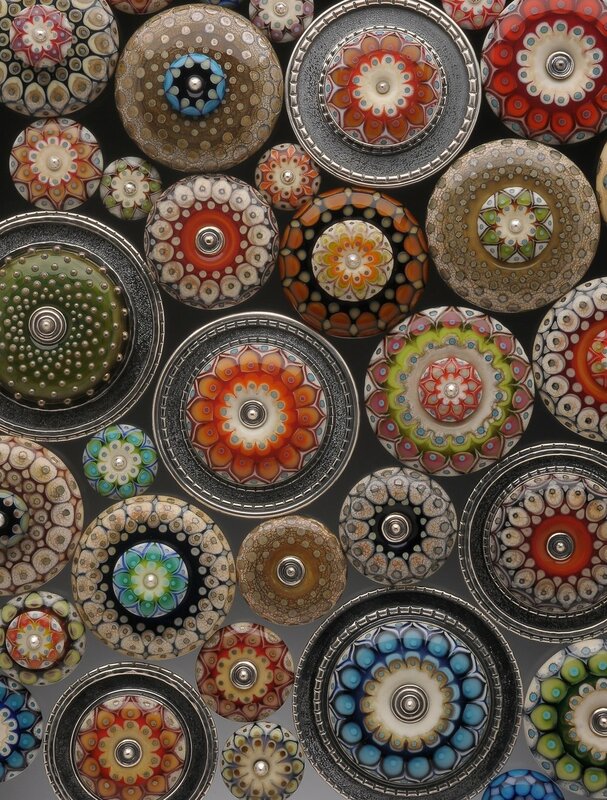 Explore a broad spectrum of techniques including various surface decorations, dots galore, clear casing, and working large beads. The class will also focus on troubleshooting common mistakes and difficulties. Some beadmaking experience is required. Brazee Street is a Bullseye Resource Center. 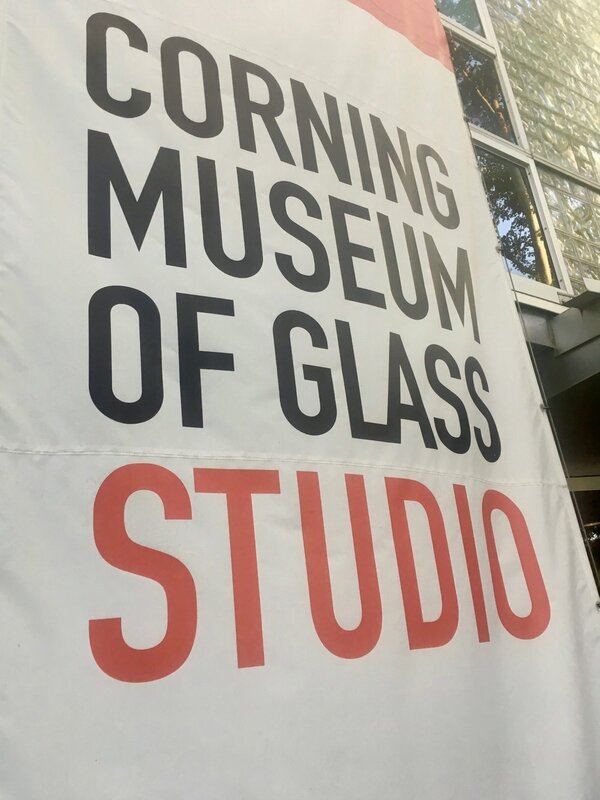 Students will be working with exclusively Bullseye Glass and refining their PRECISION at the torch! This unique Bullseye-only workshop is designed for people who would like to perfect their beadmaking skills and work with a new color palate. Kristina will help students achieve precise results at the torch. A broad spectrum of techniques will be explained and demonstrated: various surface decorations, dots!, clear casing, working large beads, and troubleshooting common mistakes and difficulties. Class time will also be devoted to learning how to put a silver core into a bead. Some beadmaking experience is required.